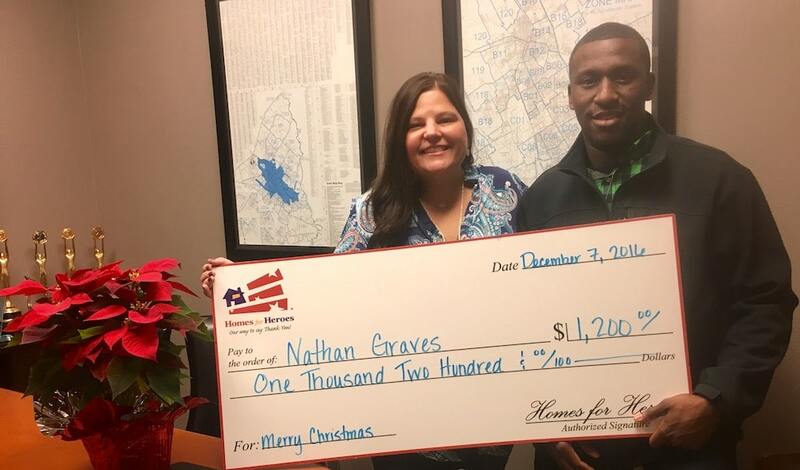 A Little About Nathaniel G.
A year ago last week, I was able to surprise former clients Racine and Nathaniel G. with a $2000 check, which included a $500 gift from Homes for Heroes®. The gift went towards paying bills while Racine went through over a year of aggressive cancer treatments. Through it all, she still tried to work so she could purchase a home; something that could be a part of her. When her baby Elijah was just three months old, Racine, 26, was diagnosed with Stage Four Metastatic Breast Cancer. She fought the disease with her husband Nathaniel, a Marine Veteran and Police Officer, by her side. Sadly with time, the cancer spread throughout her body and despite all of the surgeries and treatments, we lost our warrior princess to this horrible disease. She never gave up the fight and was an amazing mother and wife. Racine will be forever remembered for her fighting spirit, unwavering faith and ability to instill the same in others. Her ability to change lives was amazing. Elijah turned two this week and is attending a bilingual daycare, so he’s learning Spanish too. The daycare employees are familiar with the family’s story and Nathaniel wants Elijah to have some comfort in his life considering he misses his mommy each day. Going from two incomes down to one has been difficult and with a mound of bills to pay, the change has only been harder to make. While mourning the love of his life, Nathaniel keeps his chin up and presses on with his little buddy by his side, putting Elijah first in all things. 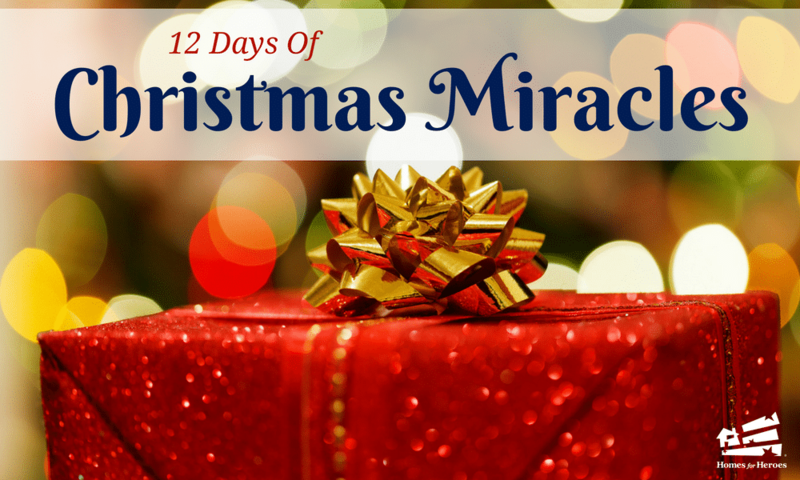 We are so proud to honor Nathaniel this Christmas Miracle! Thank you, Homes for Heroes, for your part in this. On top of the $500 miracle, I added $700; so he received a total of $1200, which will cover eight weeks of daycare for Elijah.